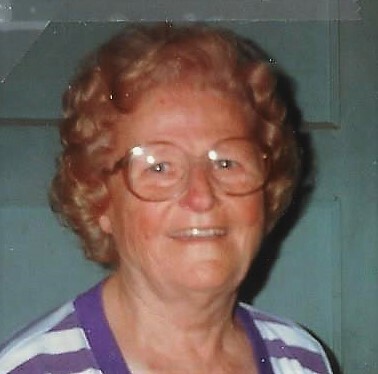 Stella Mae Orr Allison, 99 of Flowery Branch (Chestnut Mountain Community) passed away Friday January 25, 2019 at her residence. After living a long long life, she was the daughter of the late Joseph Thomas Orr and Mary Caroline Reed Orr. Married to Tom W. Allison 58 years. She was preceded in death by her parents, and husband, her 9 brothers and sisters and two sons-in-law, J.T. Ragan and Roger Waldrep, and a little grandson, Little Greg Waldrep. Surviving are her children, Hazel Waldrep, Dareen Ragan, Ruth Allison, Larry W. Allison wife Elaine Allison, Jerry R. Allison wife Melody Allison, all of Gainesville; Ricky C. Allison of Flowery Branch, he was her care-taker. one sister-in-law, Velma Orr of Buford. A number of grandchildren, great grandchildren and great great grandchildren, She had 5 generations. Stella grew up on the farm, the farm is a great place to be. She was born in Flowery Branch, Ga., got her education in Flowery Branch schools and lived near Flowery Branch all of her life. Her and Tom Allison were married June 18, 1938. They bought land and built their house on Winder Highway in 1939, where they raised their children. Tom died September 1996. Stella lived there til she died, a total of 80 years. She said growing up on the farm, you had plenty good food and you got plenty of exercise, you got a suntan you did not have to get on a tanning machine. She knew how to do so many things. She was a good gardner, a good cook, a good house keeper, and also a good sewing machine mechanic, a good seamstress, a good wife and mother. Mrs. Allison was a member of the Chestnut Mountain Baptist Church. Funeral services will be held at 3:00 p.m. Monday January 28, 2019 in the chapel of Little & Davenport Funeral Home. Rev. Earl Pirkle and Rev. Boone Strickland will officiate. Interment will follow in the Chestnut Mountain Baptist Church Cemetery. The family will receive friends at the funeral home Sunday January 27 from 2-4 p.m. and 6-8 p.m.